The spectacular city-state of Singapore has plenty more to offer than simply a convenient layover; it has a rich culture that fascinates visitors from all over the globe. If you’ve only got 24 hours to spare, here is how you can enjoy all the delights Singapore has to offer. Start the day as you mean to go on by enjoying breakfast with a twist. 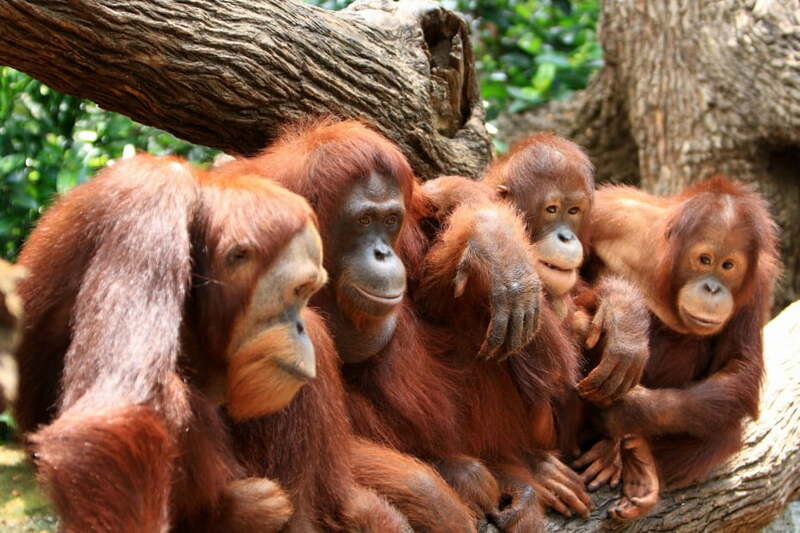 Enjoy your morning coffee and toast accompanied by orangutans at Singapore Zoo. The restaurant has branches where the orangutans can perch while you feast, and you can have your photos taken with your new breakfast buddies too. Now you’re fully awake the Botanic Gardens are a beautiful place to stop on your way towards Downtown Core. 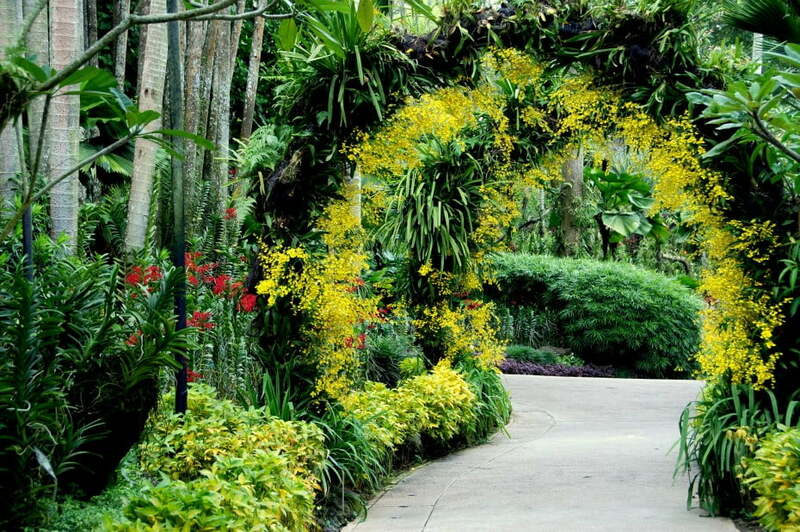 The picturesque Orchid Garden is just one of many reasons why this is one of only three garden complexes in the world to be listed as a UNESCO World Heritage Site. Take a stroll across the boardwalks of the Learning Forest to explore the natural wonder in all its glory. Having made your way to Downtown Core head to Lau Pa Sat Festive Market: a national monument that’s featured in Singapore’s Financial District since the 19th century. 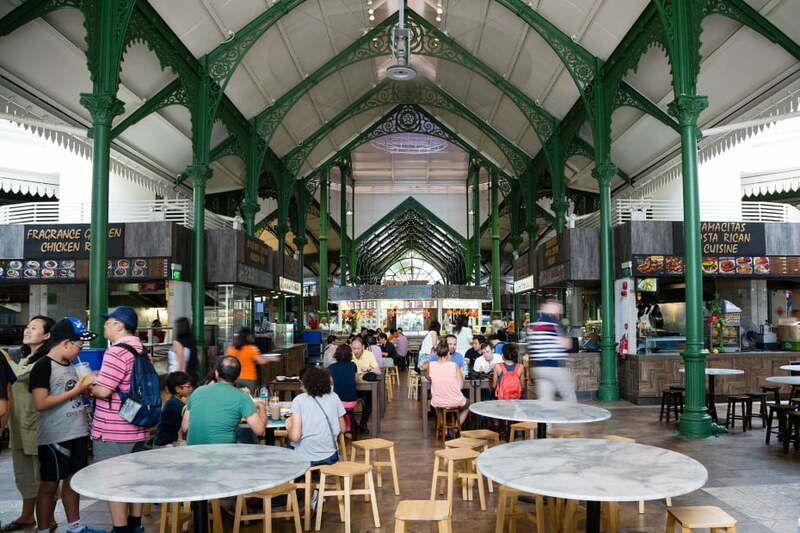 This hawker centre is where you can enjoy a lunch of delicious international cuisine – whatever your tastes, you’ll find something here. 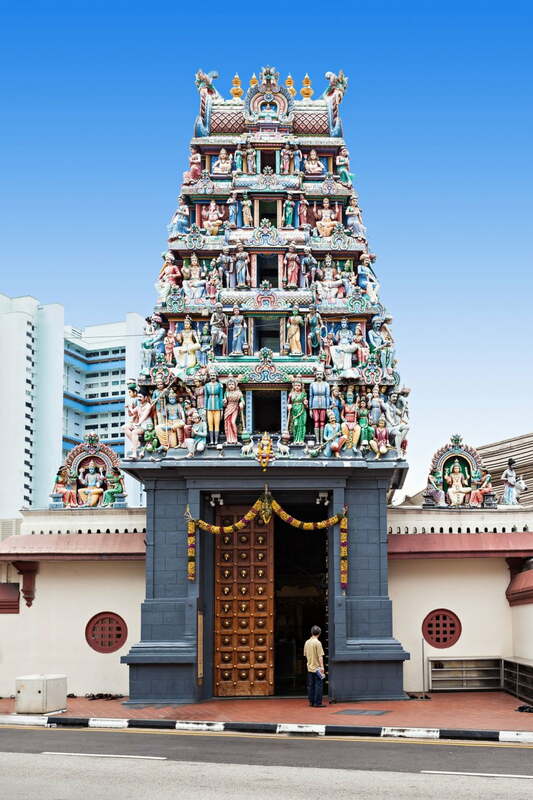 Within a stone’s throw from the market you can find three of Singapore’s oldest temples. Masjid Al-Abrar is one of the oldest mosques in Singapore while Thian Hock Keng is a Chinese Temple paying homage to the sea goddess, Mazu. A short walk away is Sri Mariamman temple - an ornate and colourful Hindu temple which is a real feast for the eyes. Out towards Marina Bay you will find the unique Gardens by the Bay. Marrying modern and natural beauty the gardens include stunning displays of living, breathing greenery, made striking by their innovative and ecologically-savvy designs. From the desert landscape of the Sun Pavilion to the lush and mountainous Cloud Forest this is a true marvel at the heart of the city. After you’ve soaked up the natural wonders it’s time to enjoy another of Singapore’s famous creations: The Sling. 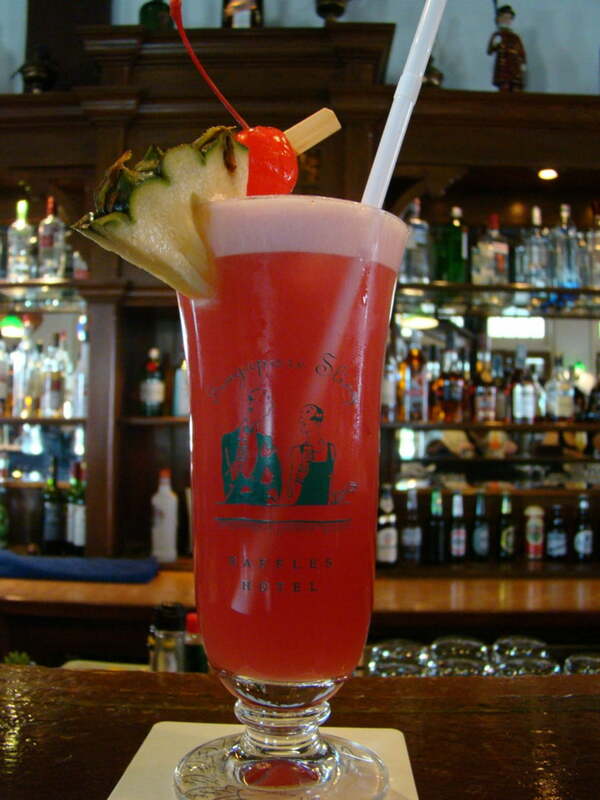 Reportedly invented at the fabulous Raffles Hotel by bartender Ngiam Tong Boon – why not stop by the hotel itself to try a tipple – it would be rude not to. Out of the hotel, check out the Fountain of Wealth. It’s the largest fountain in the world, decorated with vibrant light displays, and designed to observe traditional feng shui ideals. 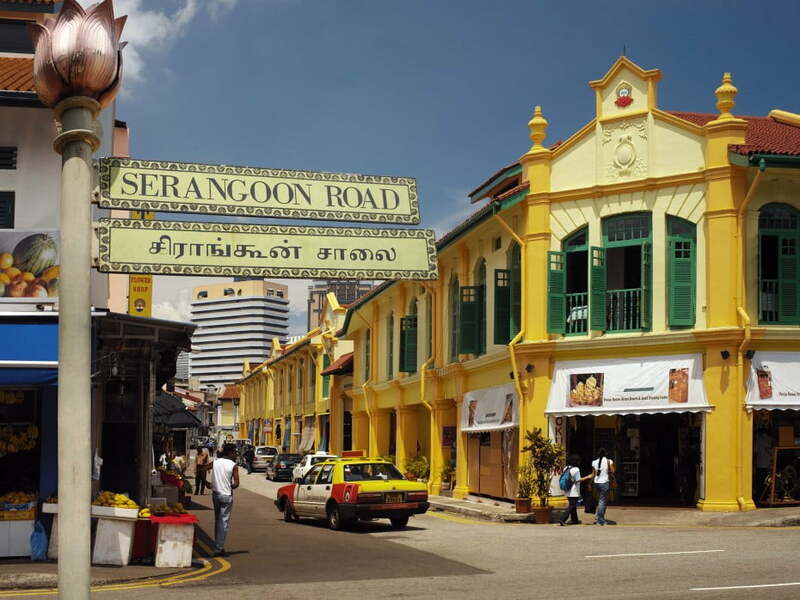 It’s now time to immerse yourself in Little India, where you’ll find irresistible food down every street. This historic area mixes Hindu and Chinese architecture with traditional Indian dishes sitting comfortably alongside modern flavour combinations. The local speciality is the fish head curry enjoyed while listening to music pouring from every open window. The night-time culture of Singapore comes alive around the Clarke Quay area, but for a truly unique experience head back up to the zoo for a night safari before enjoying one of the entertainment shows. 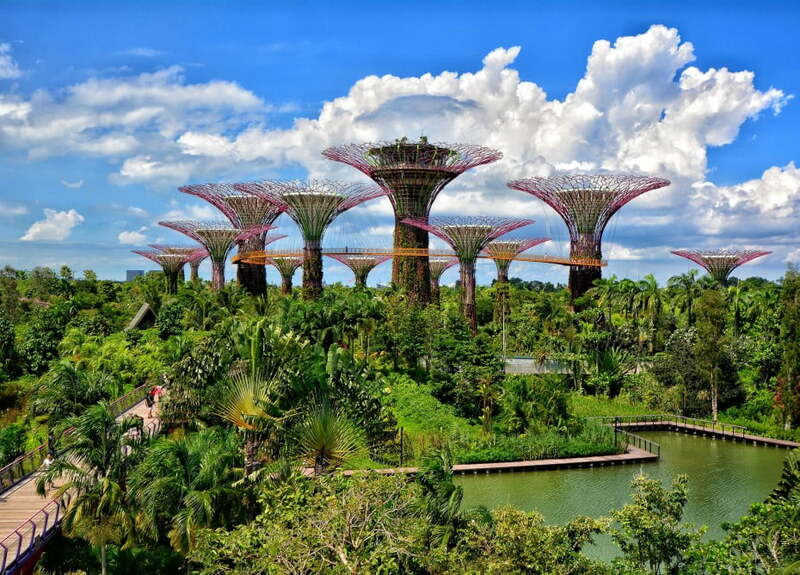 There are also six ‘zones’ which replicate the different landscapes of our planet, making this one of the best experiences in Singapore once the sun goes down.